What a great story. 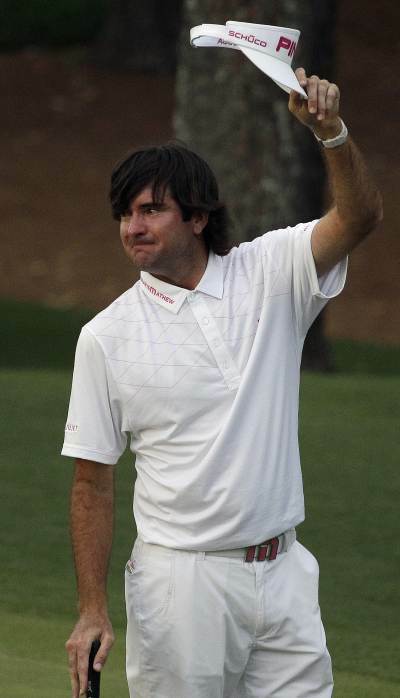 I had heard about Bubba practicing in his house, but not curving the ball around the outside of his house. Do you think he could do it in four shots? How interesting to know after it’s over how he had practiced those shots when he was a kid. One observation I had on the broadcast was when Oosthuizen left the 10th green after it was all over, it looked like the Golf Channel’s show the Big Break when a golfer must walk back to the clubhoise after being kicked off the show. How sad. I know it’s been a few days since his victory at the Masters, but what a performance it was. Very happy for him. To change the subject, I just want to say how much I enjoy your tv broadcasts with Bill Schroeder. Your professionalism and love for the game is evident. Thanks for making the television broadcasts interesting and entertaining as well as informative. You are a credit to the broadcasting profession and we are very lucky to have you. A longtime Brewers, Packer and Badger fan.